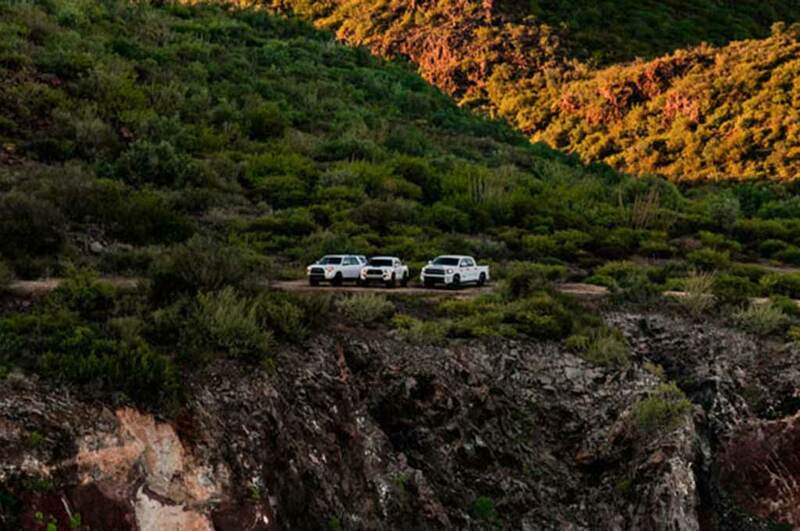 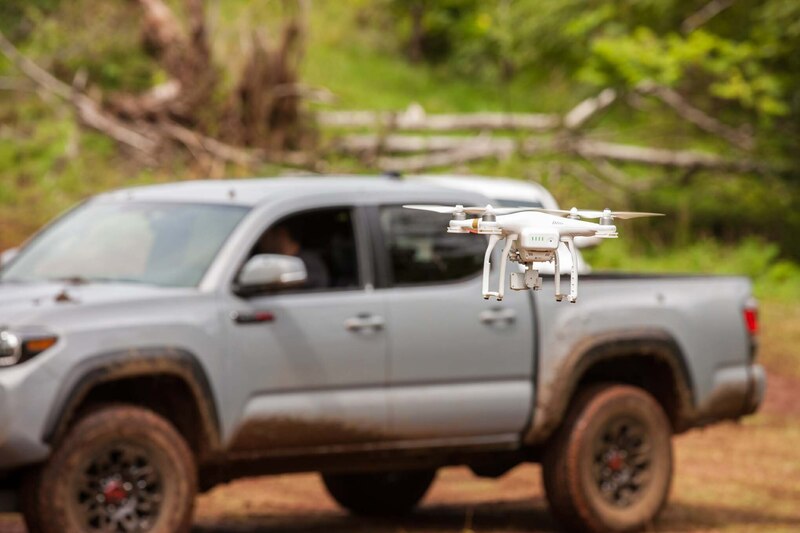 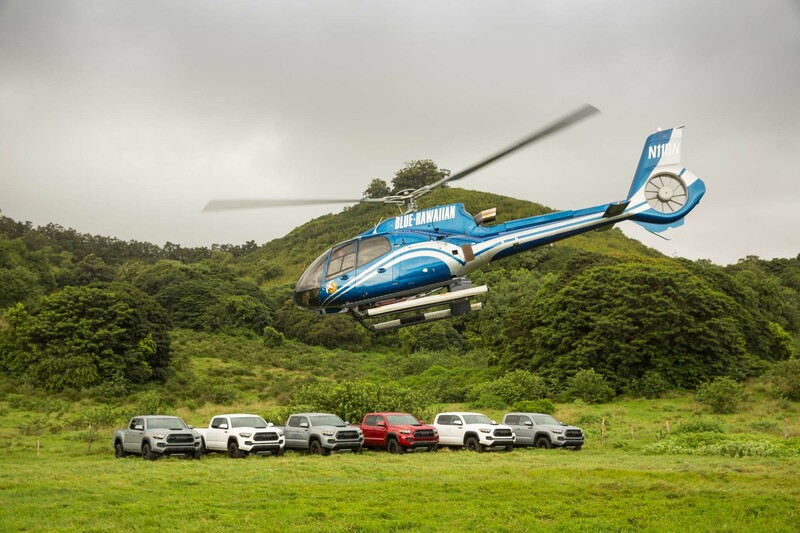 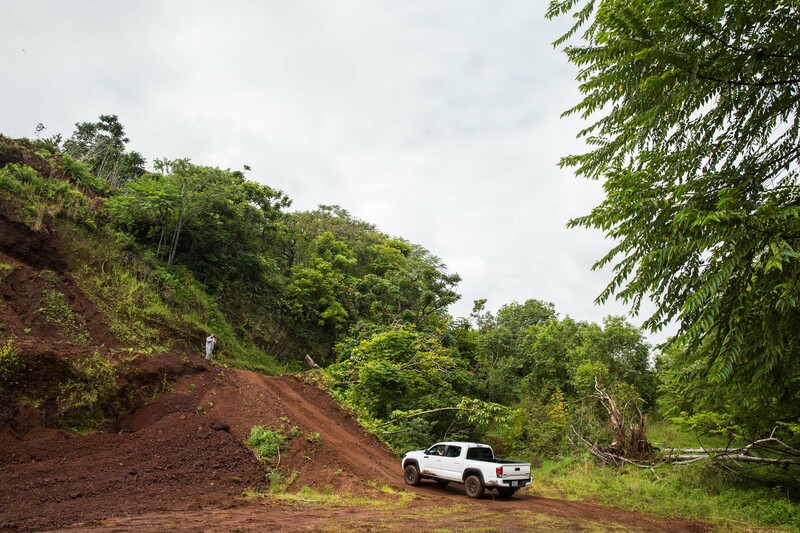 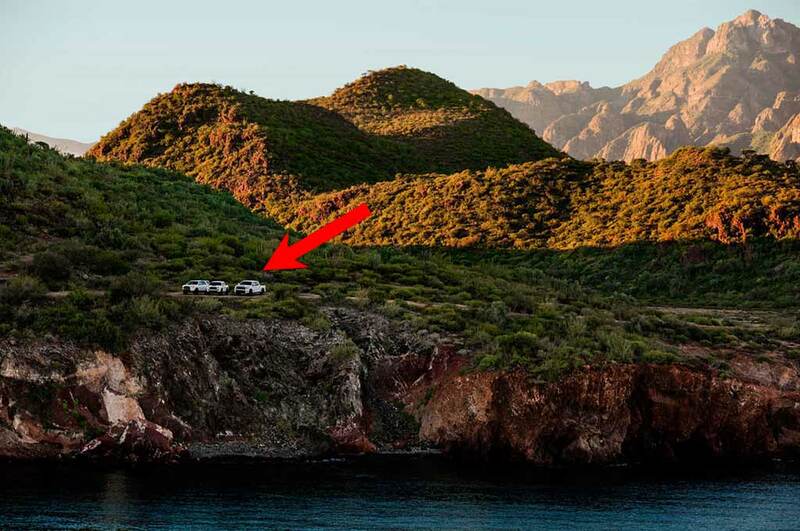 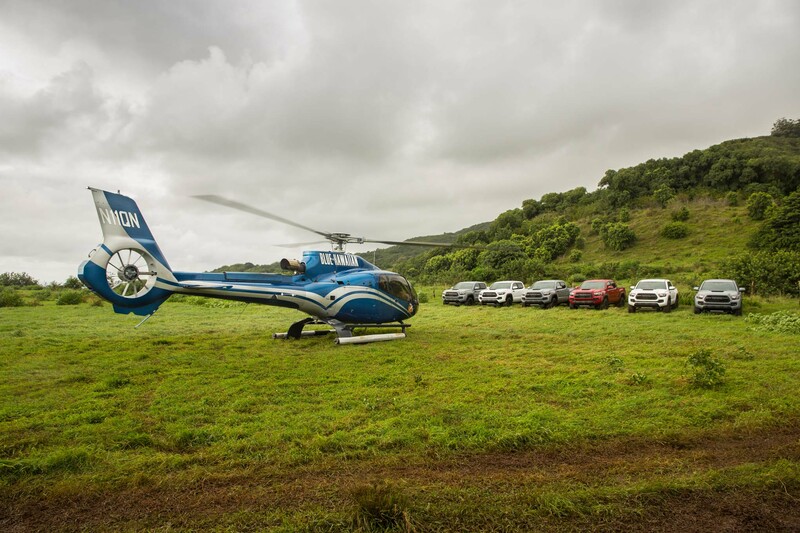 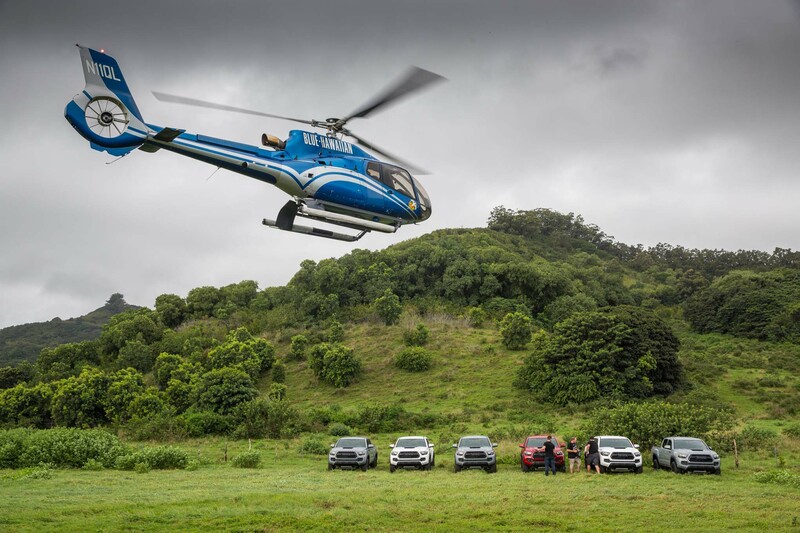 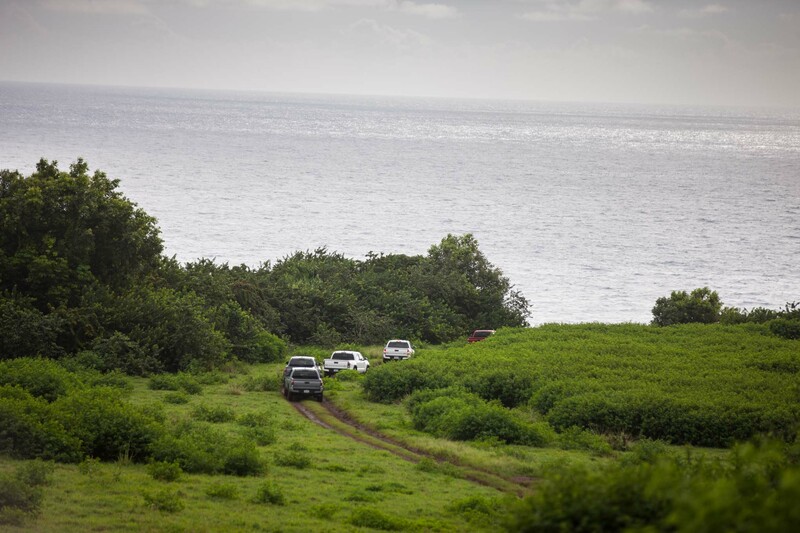 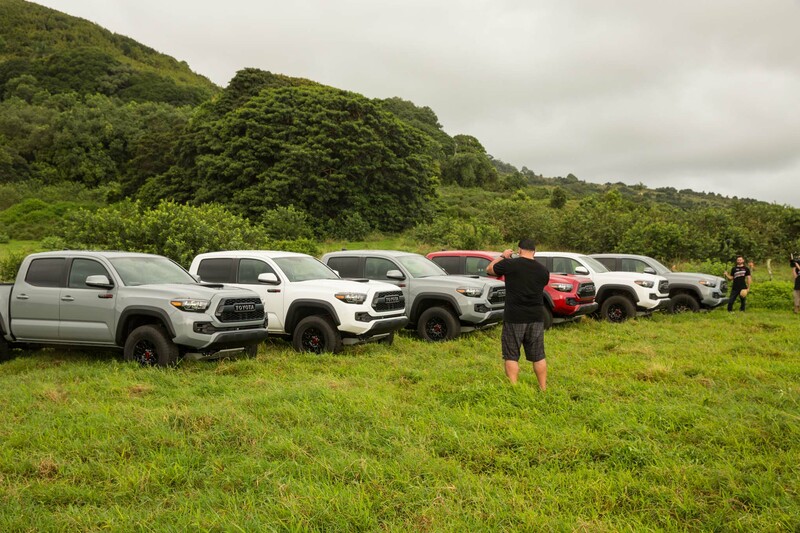 Toyota’s last teaser for its Chicago debuts barely showed us anything as the trucks were mere specs in a vast mountainous landscape photo. 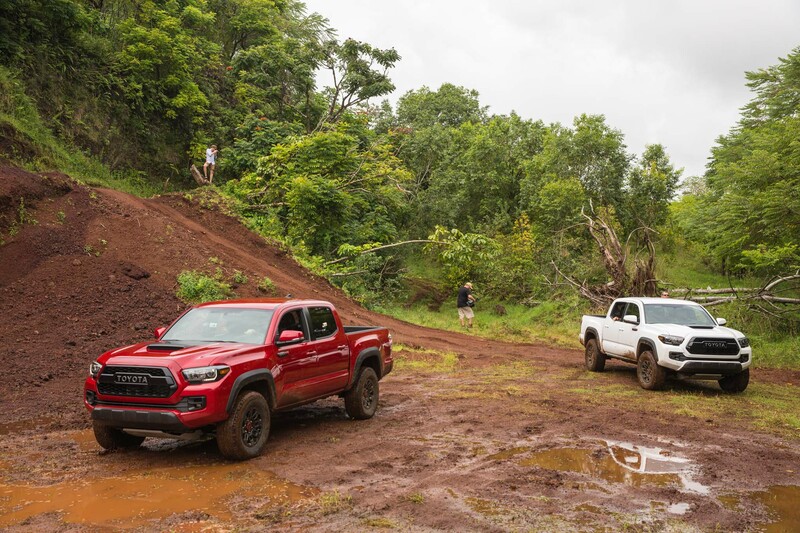 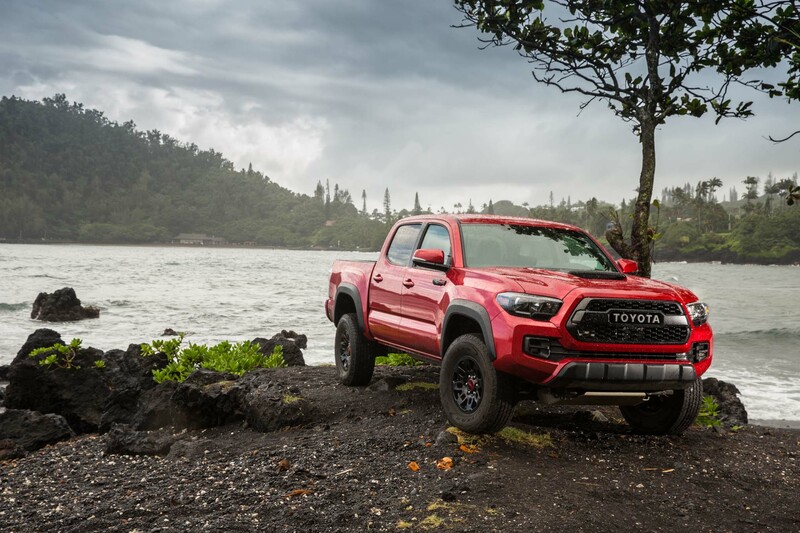 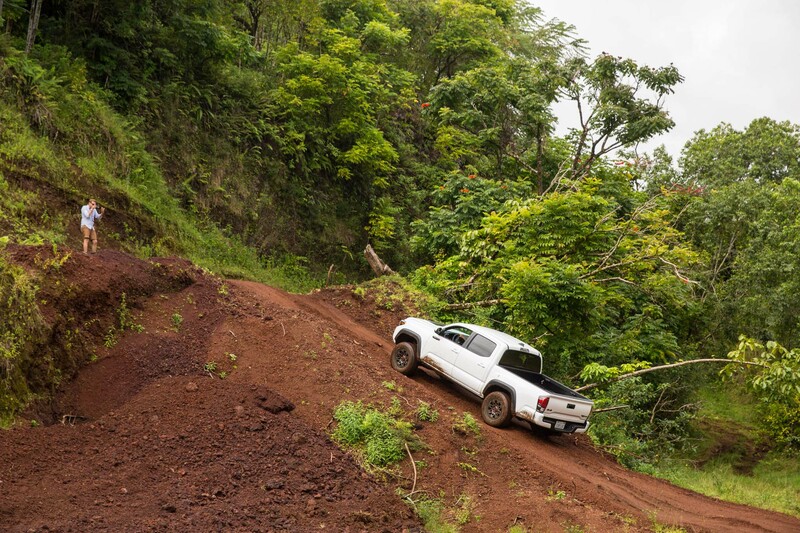 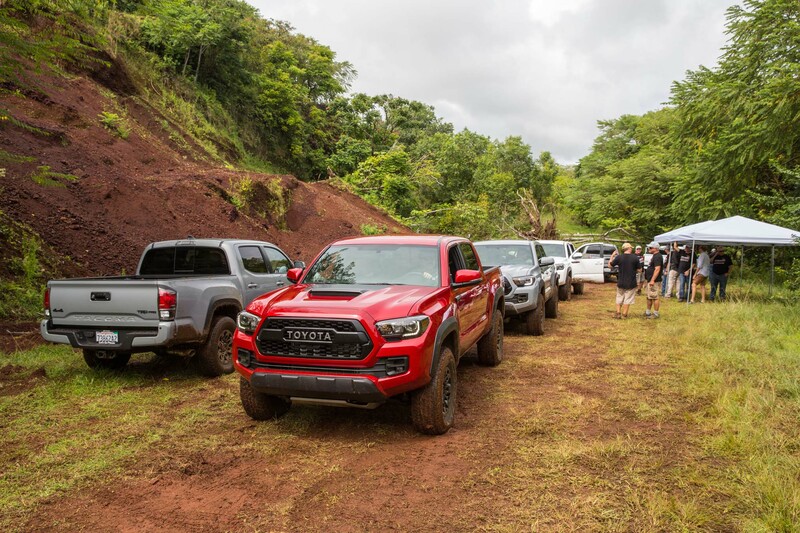 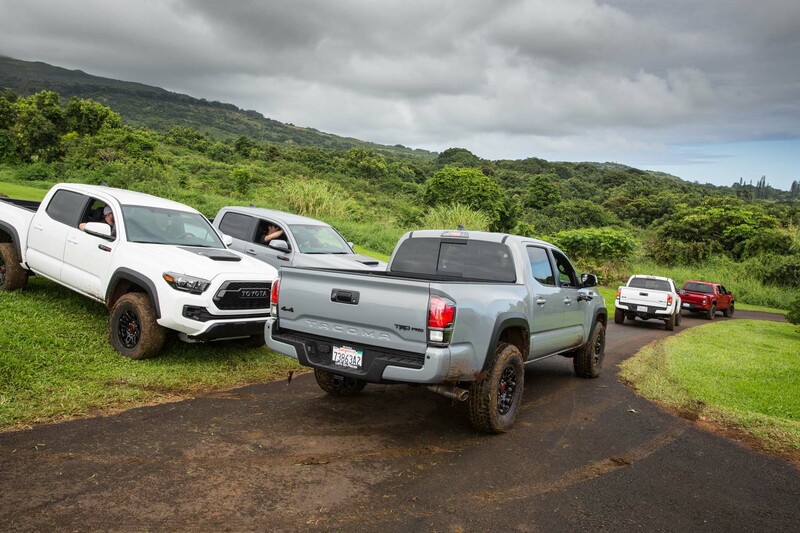 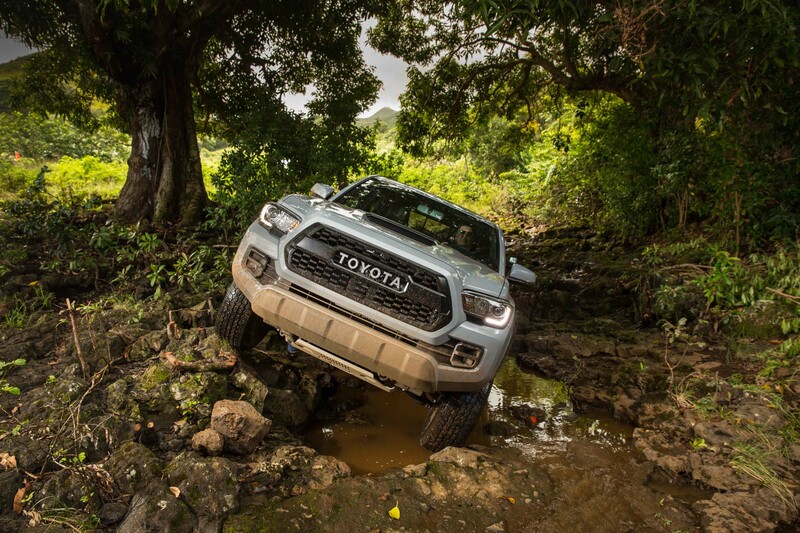 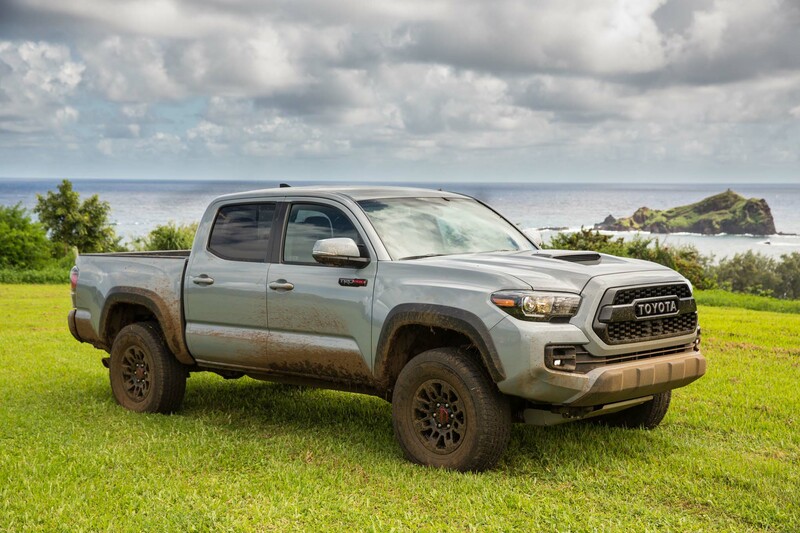 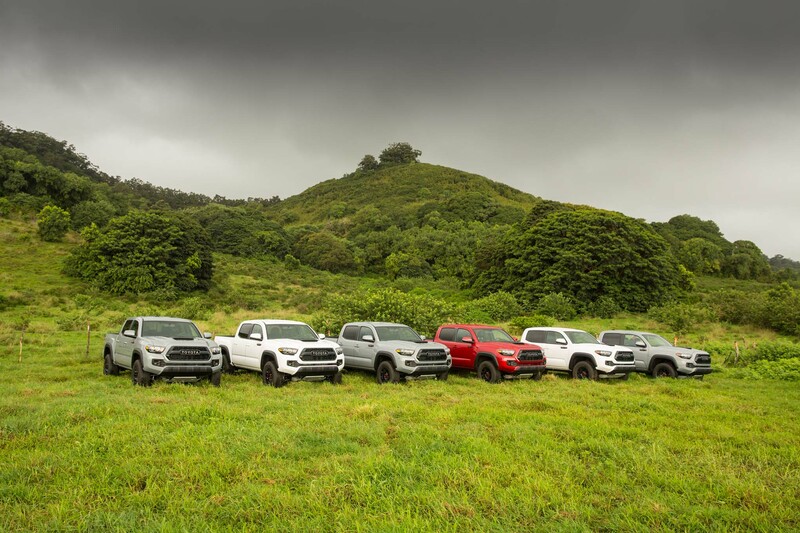 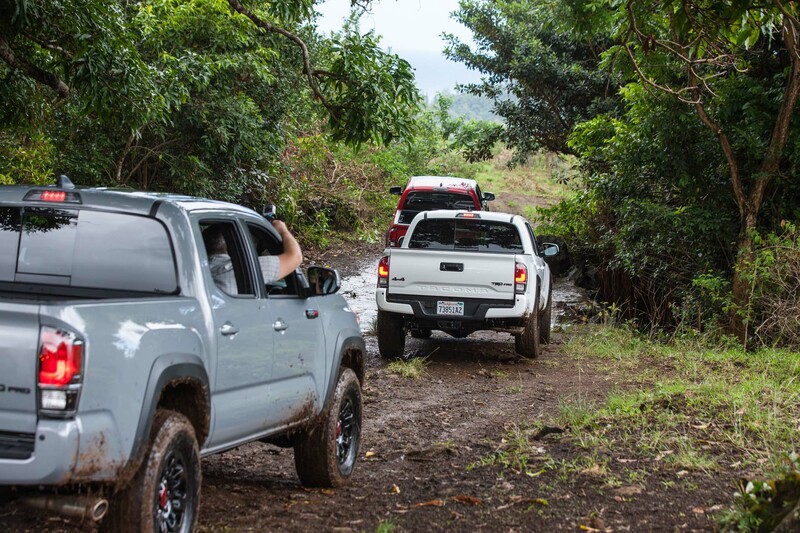 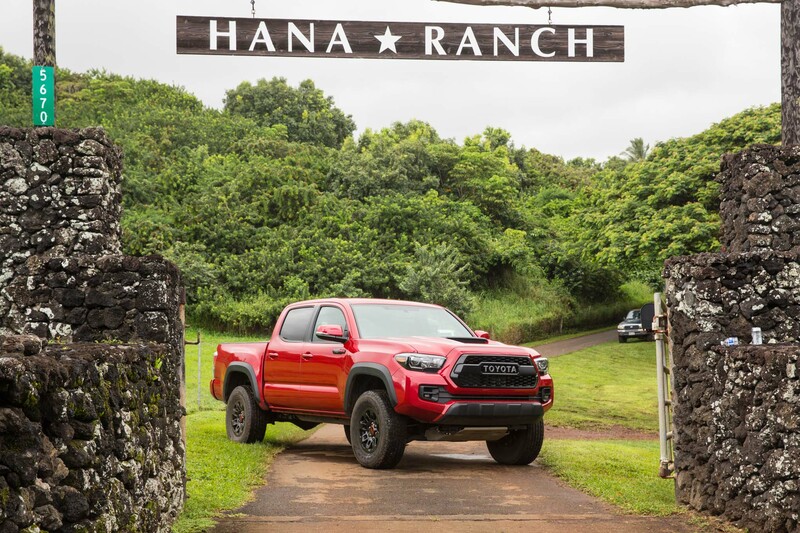 Now, Toyota has confirmed it’s bringing the 2019 TRD Pro lineup to the windy city, and we get a closer look at the Tacoma variant and its snorkel intake in this latest teaser. 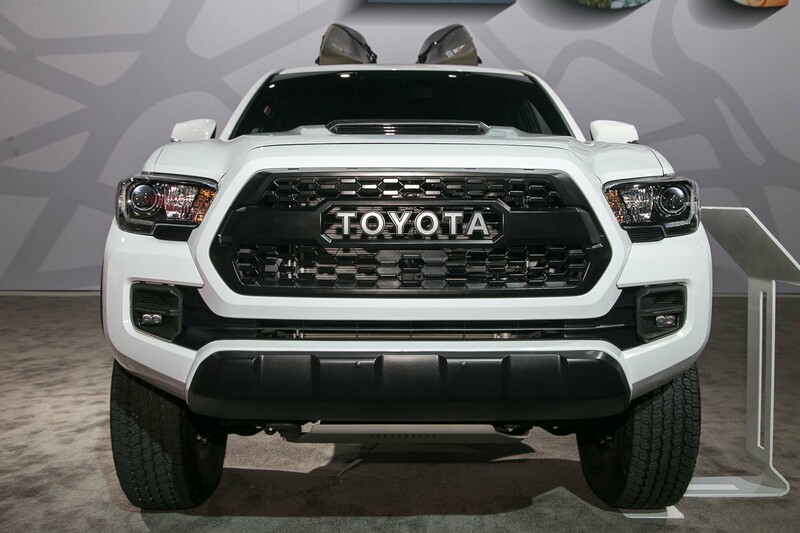 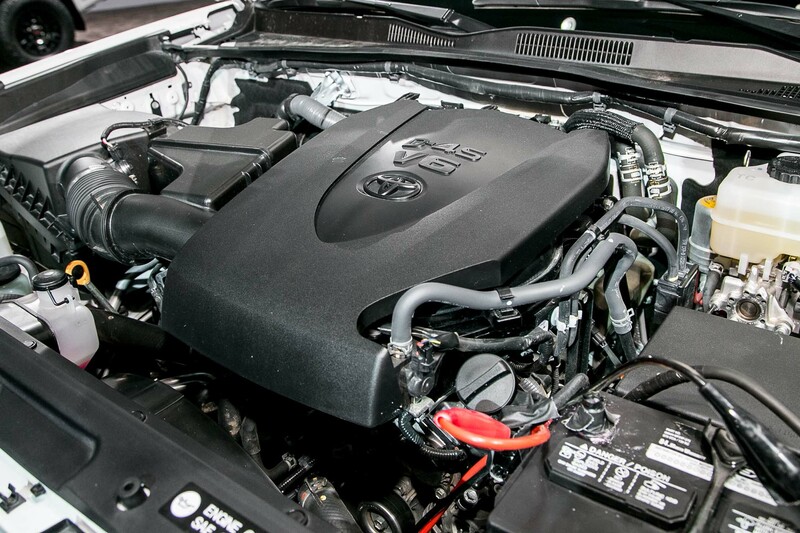 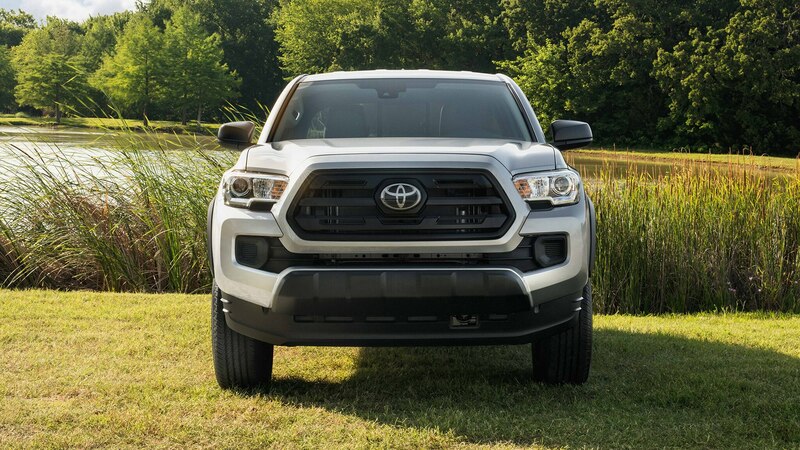 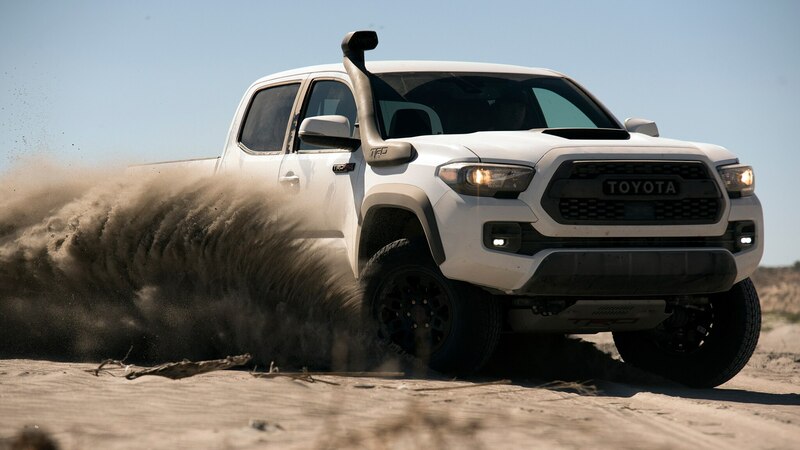 In the new photo we can see the unique black mesh grille with horizontal bar and large-font Toyota script that the current Tacoma TRD Pro wears, but there’s a very prominent snorkel intake along the passenger-side A-pillar with TRD branding on the intake end. 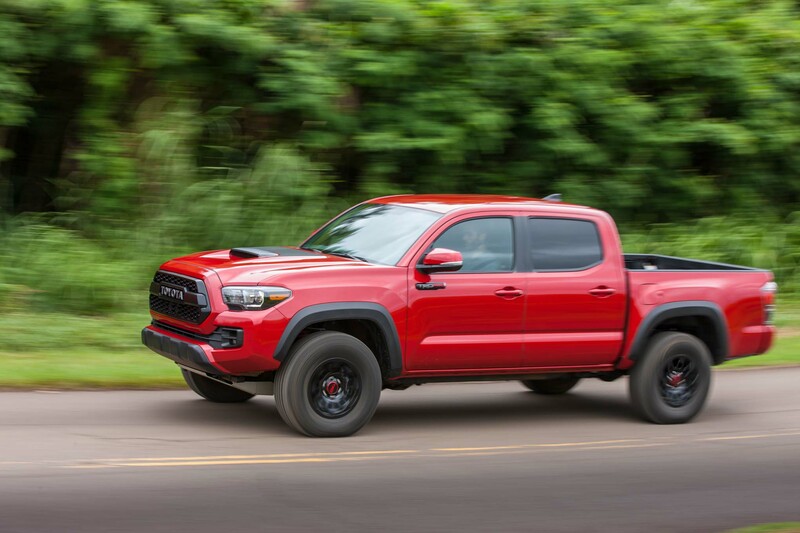 Other details are obscured by dust, but we can guess the new model continues to be lifted on black wheels, perhaps redesigned for 2019. 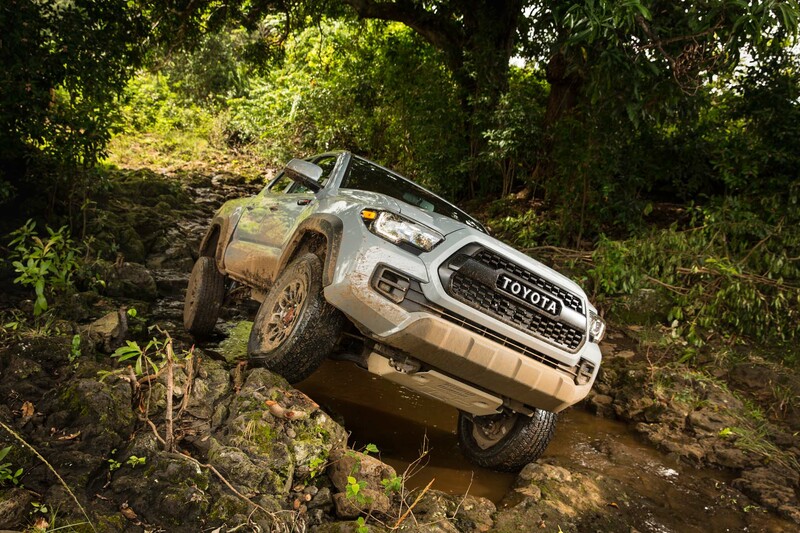 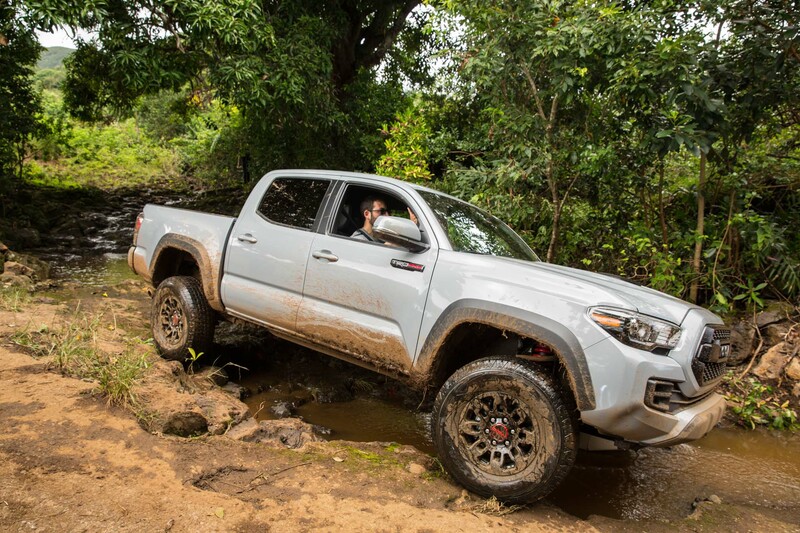 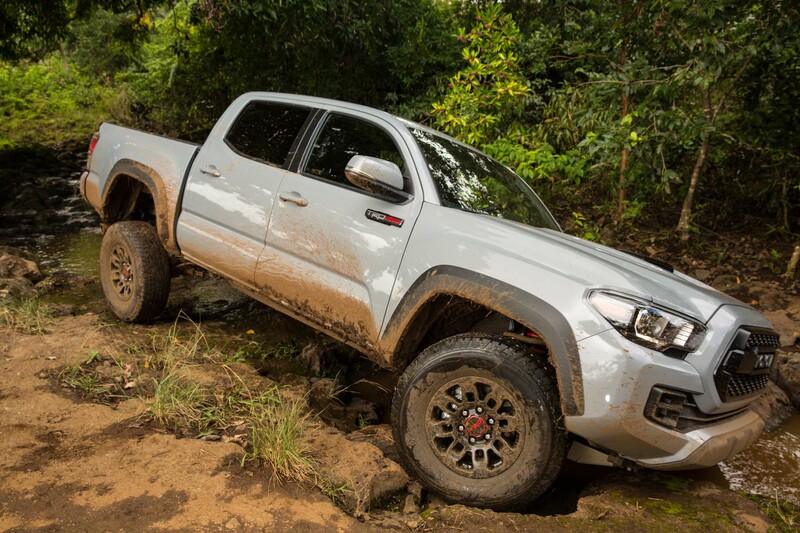 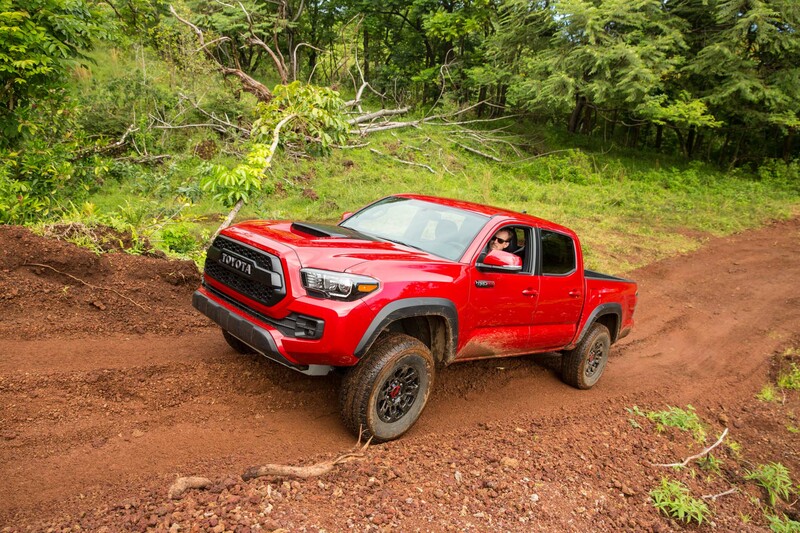 The current TRD Pro is lifted 1 inch on TRD coil springs in the front and TRD Off Road leaf springs in the rear, with Fox shocks handling damping duties all around. 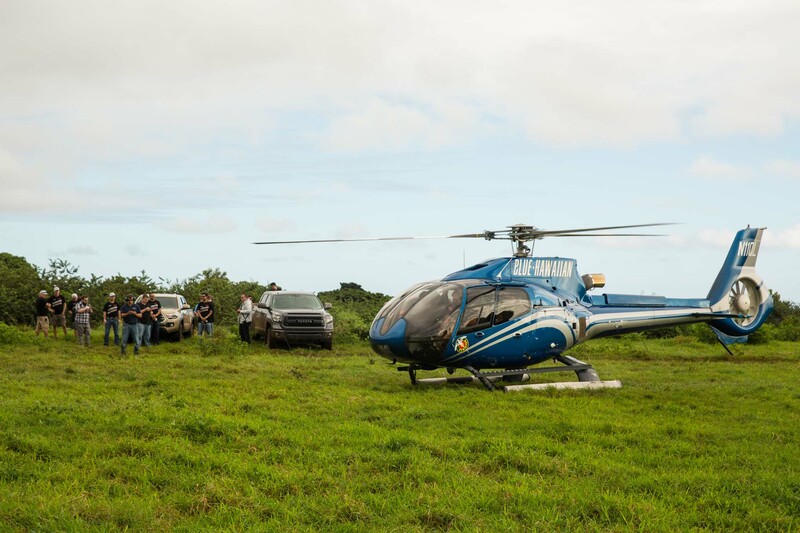 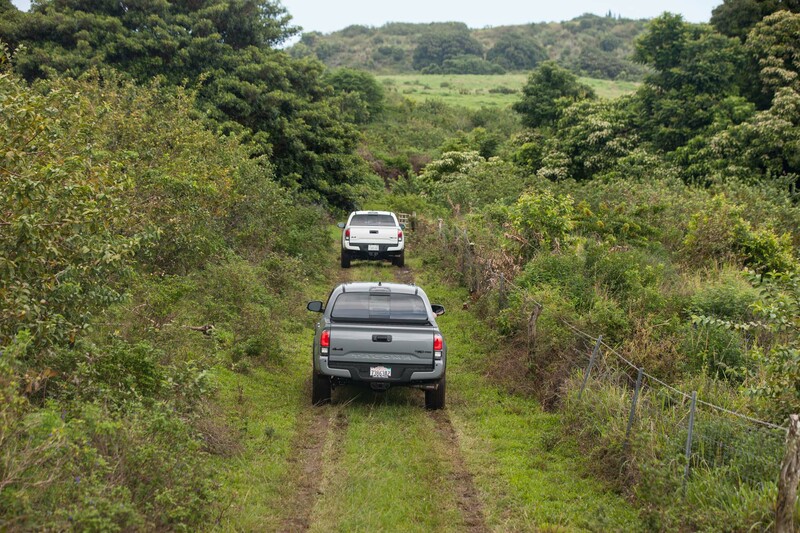 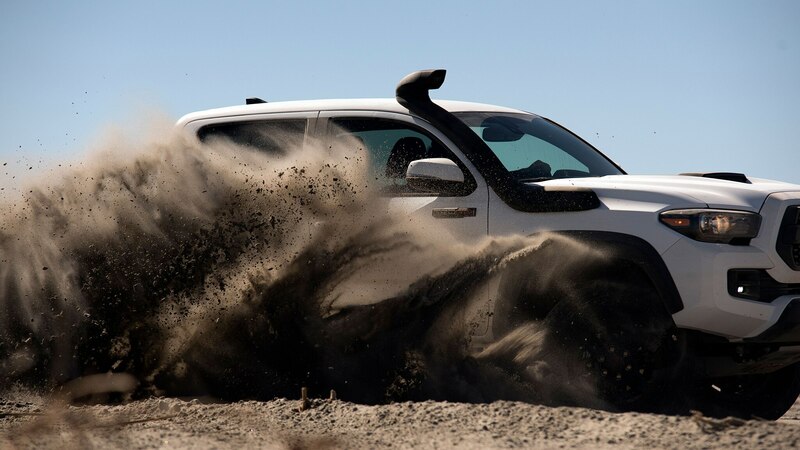 Goodyear Wrangler All-Terrain Adventure tires provide traction, wrapped around 16-inch alloy wheels. 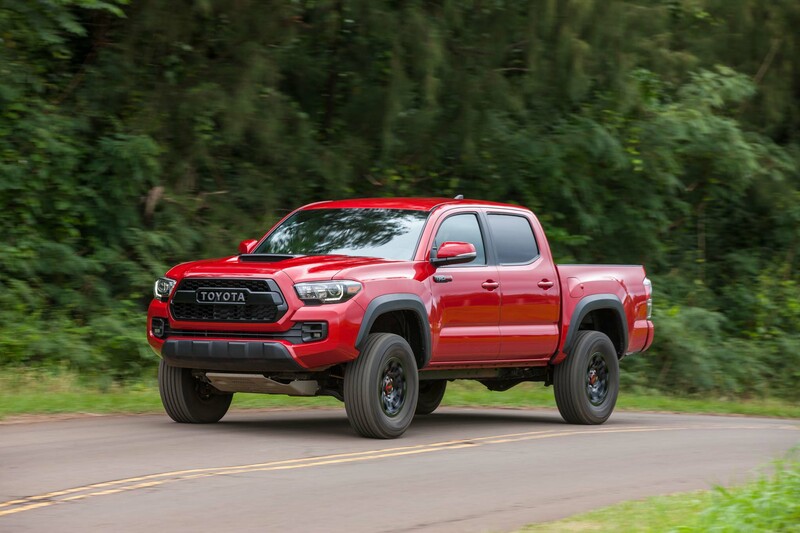 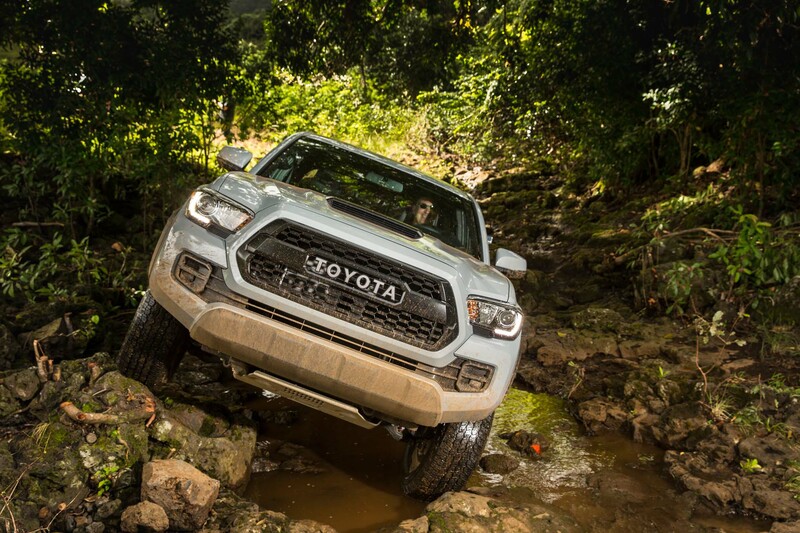 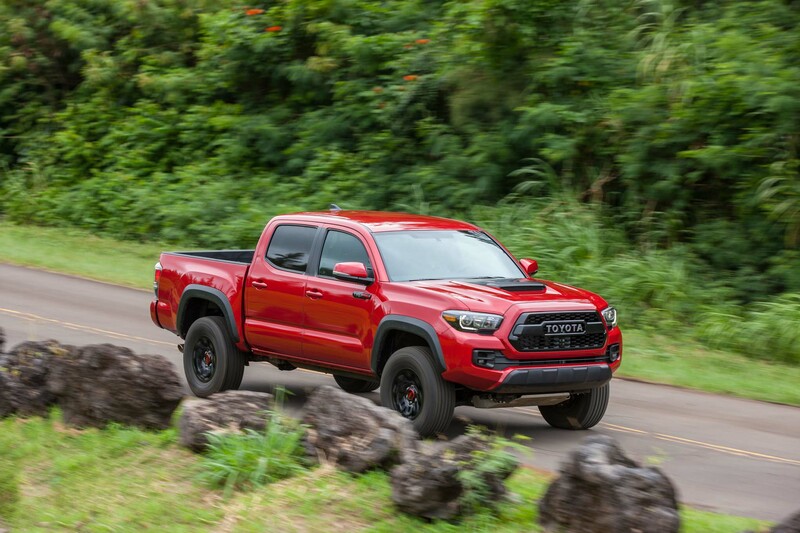 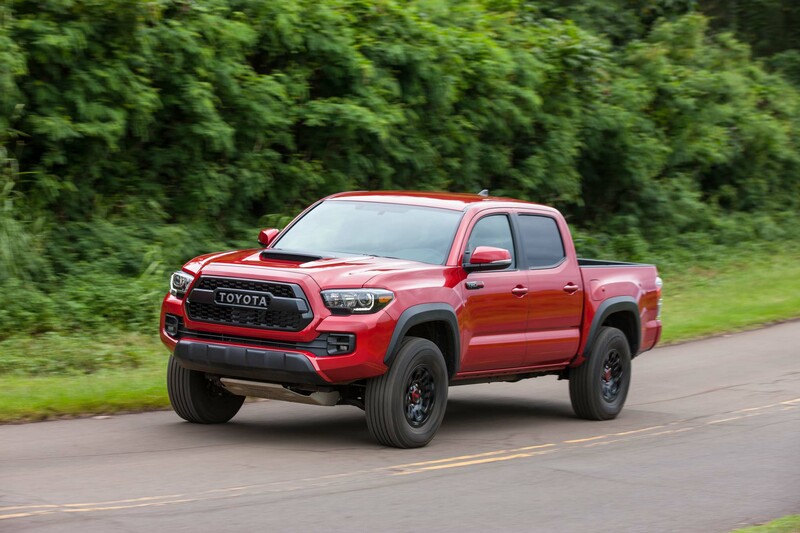 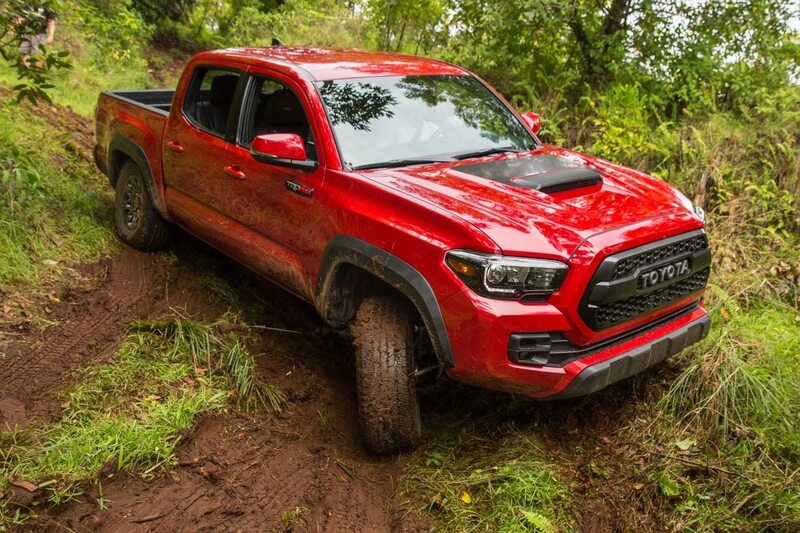 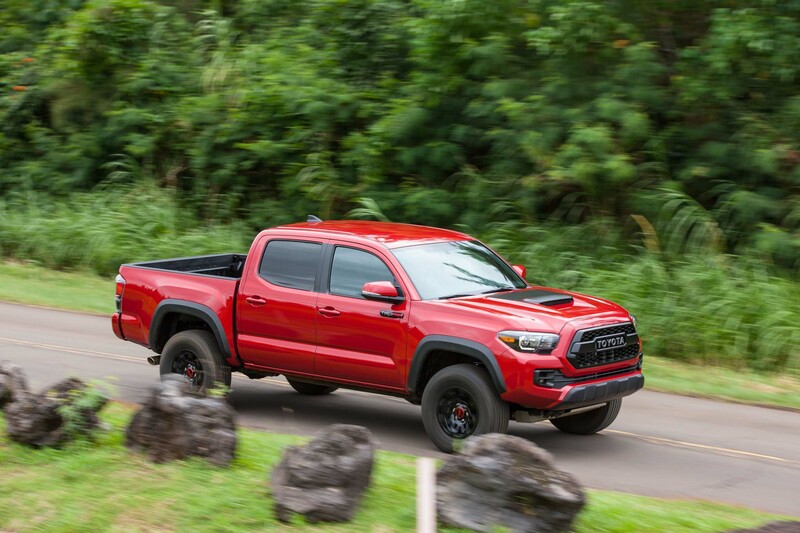 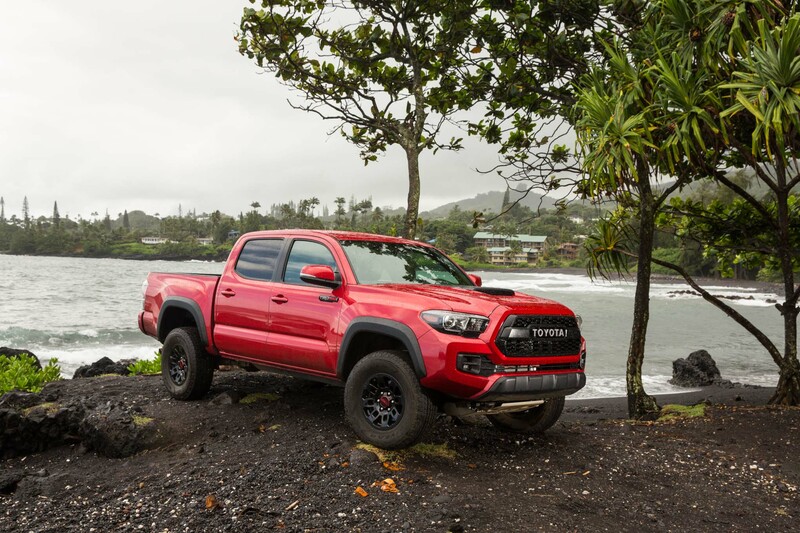 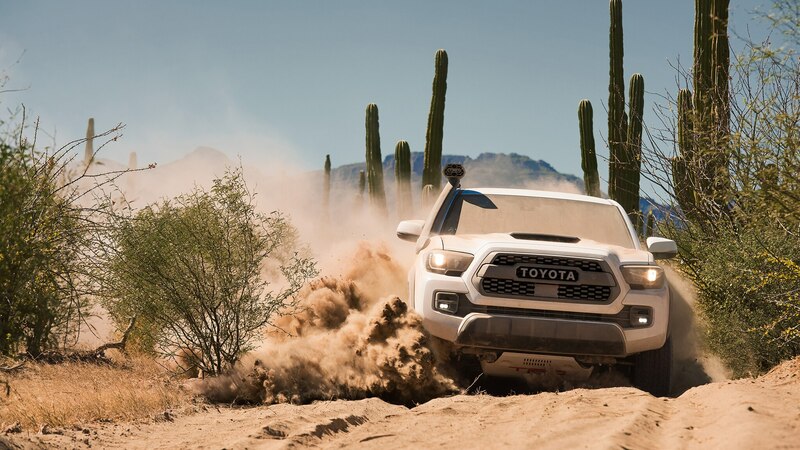 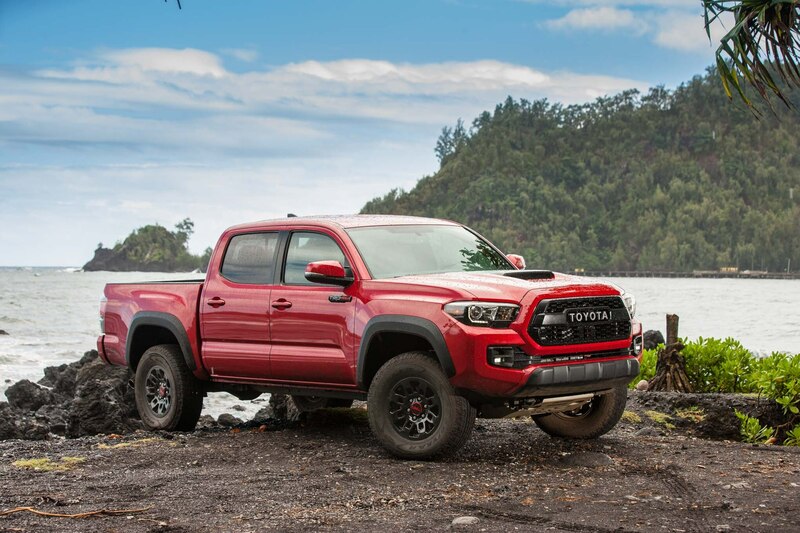 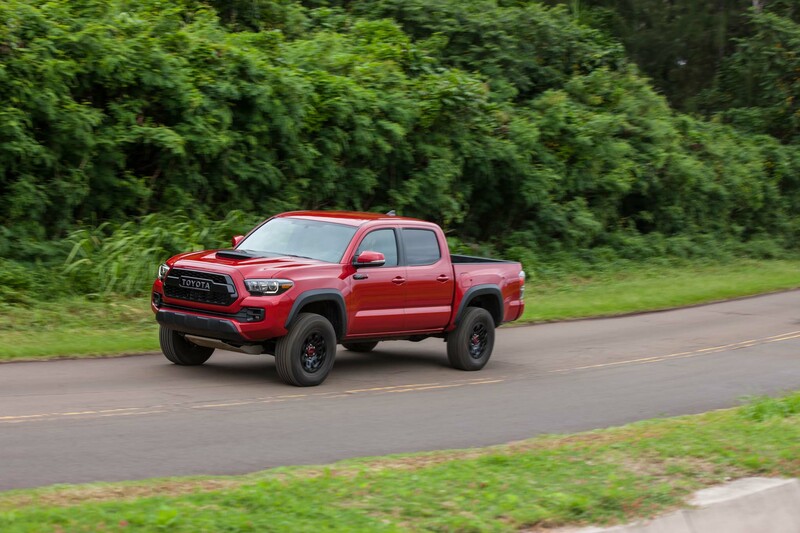 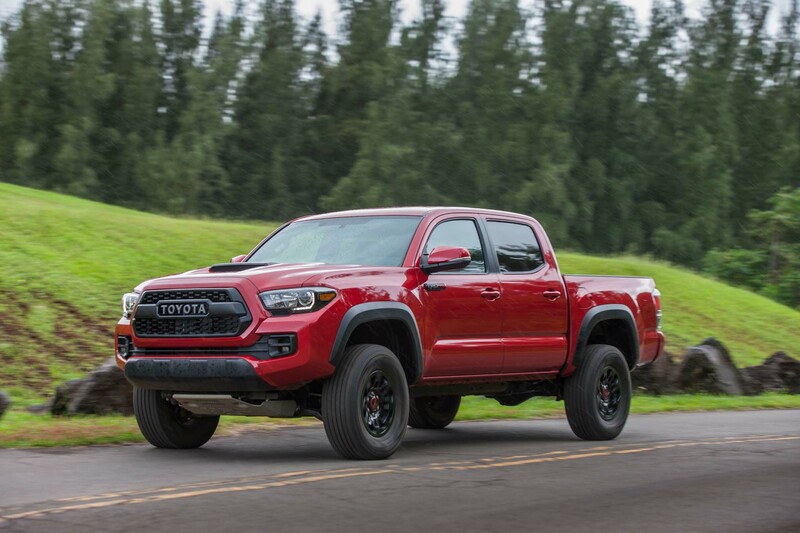 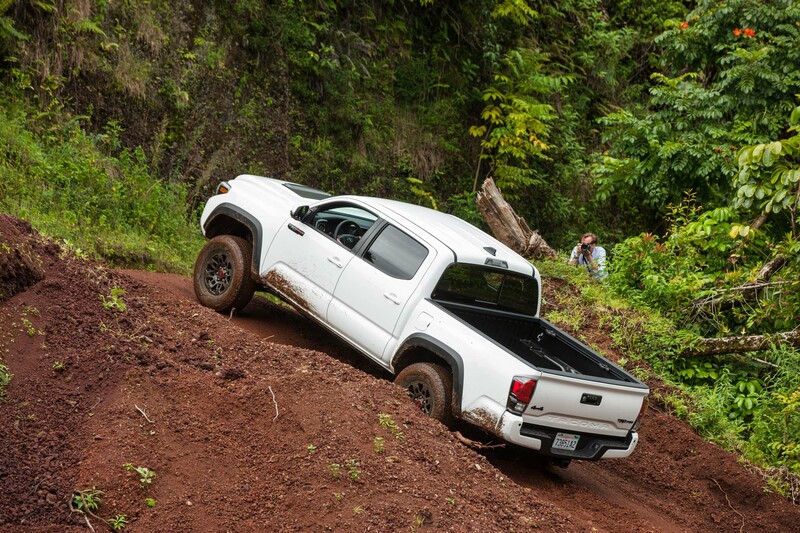 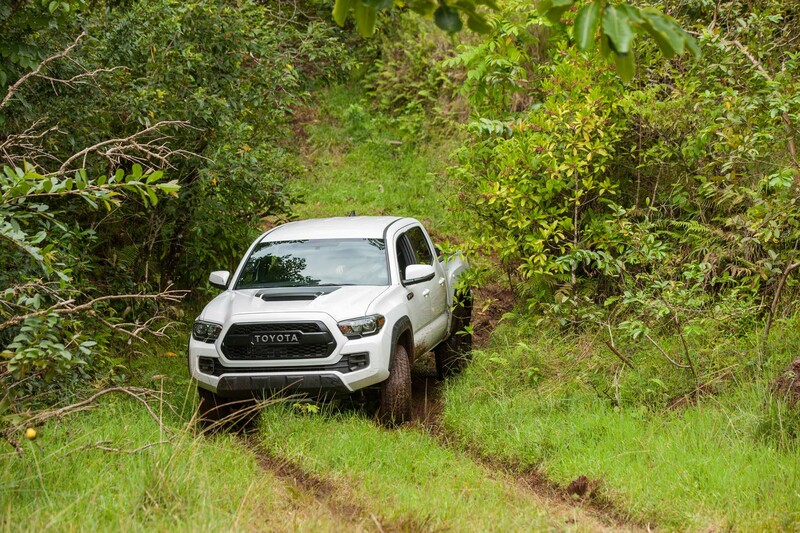 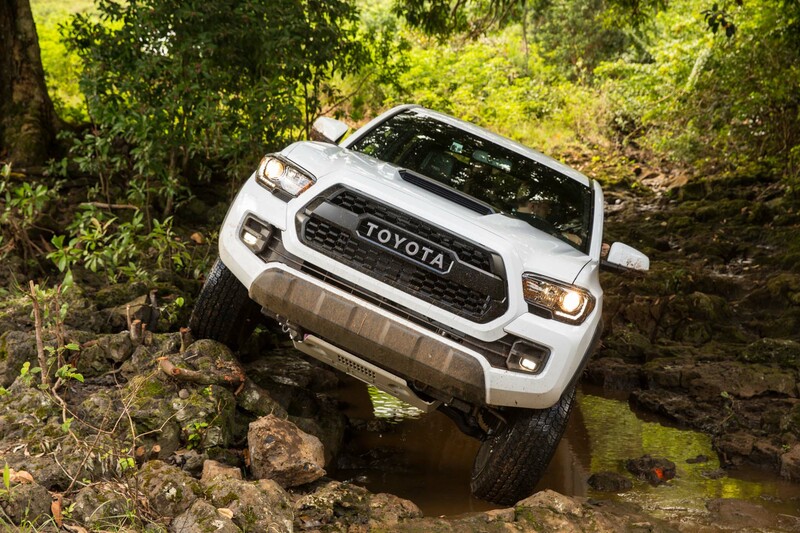 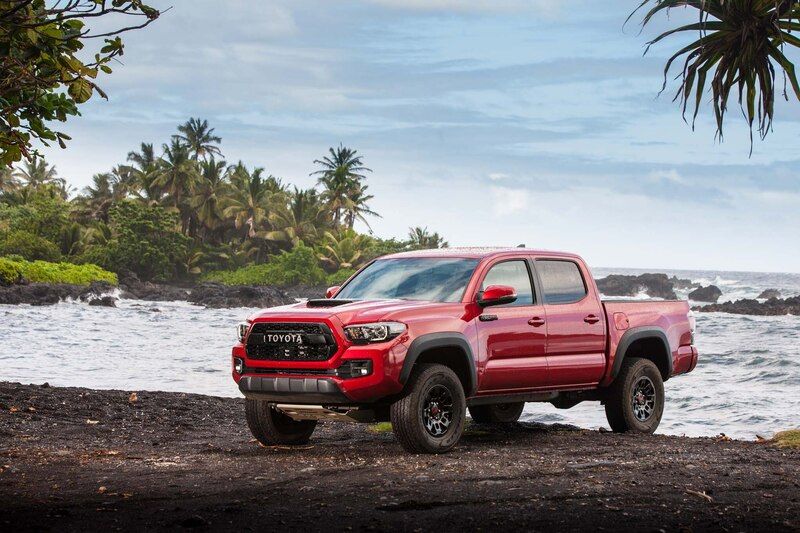 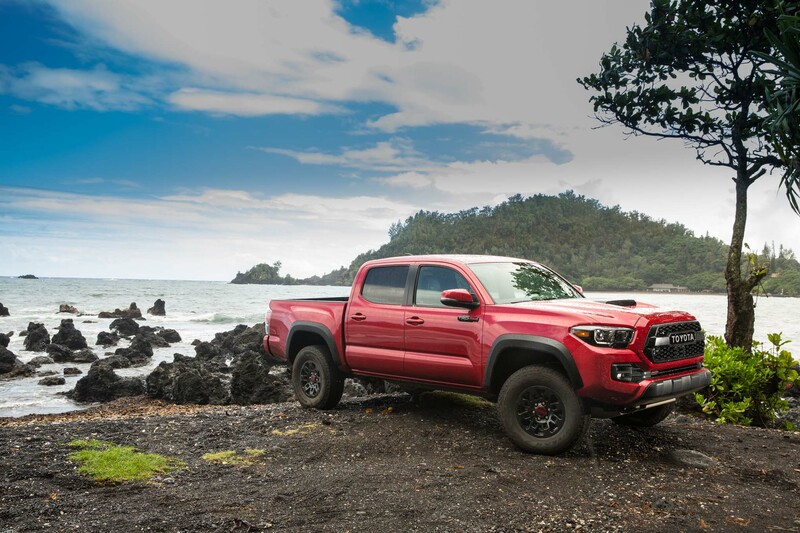 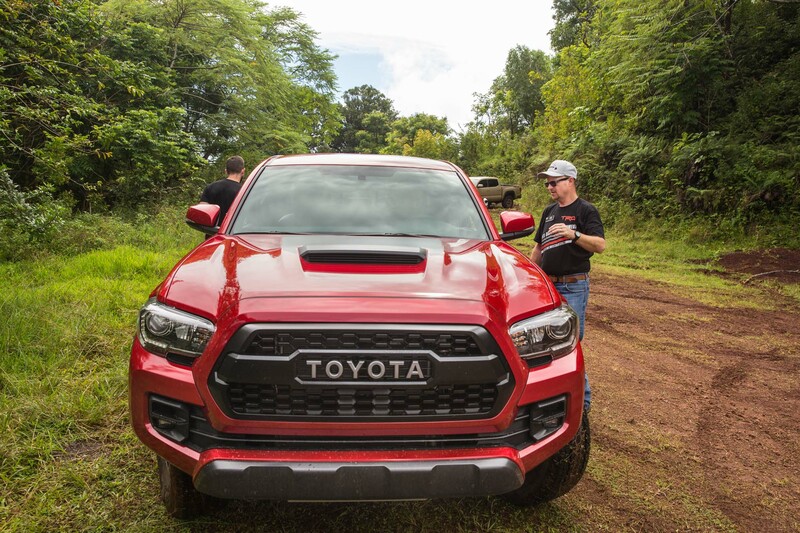 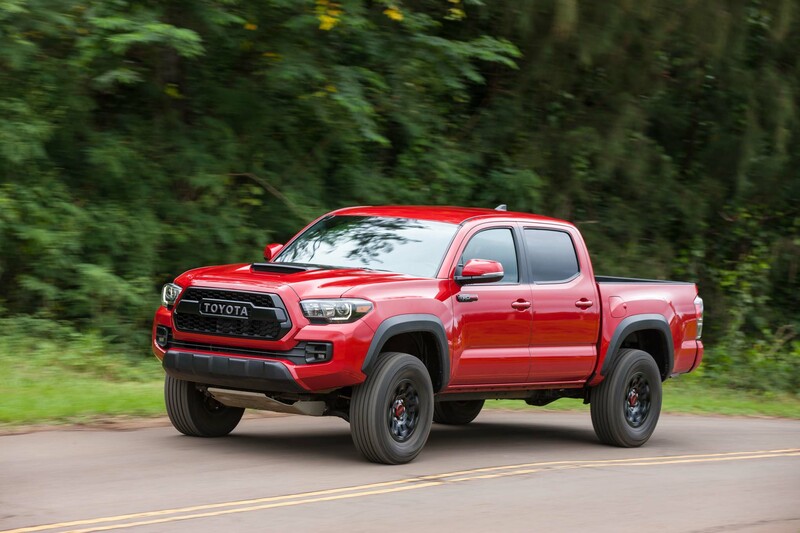 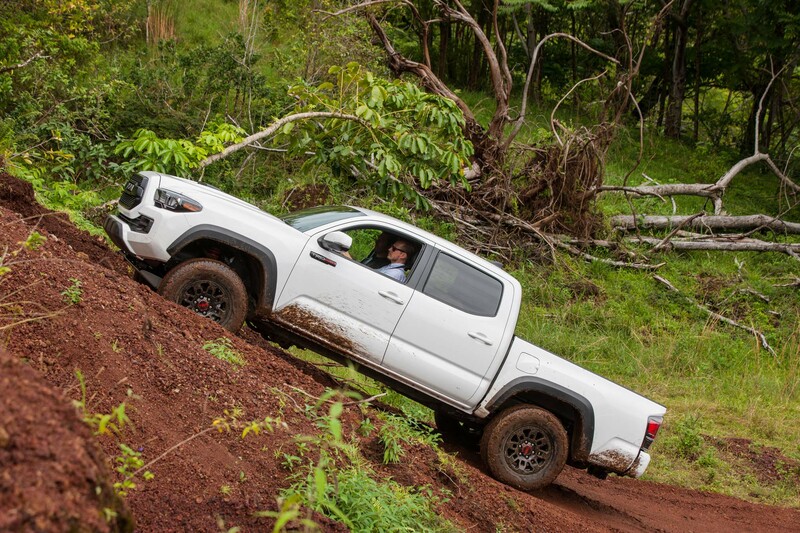 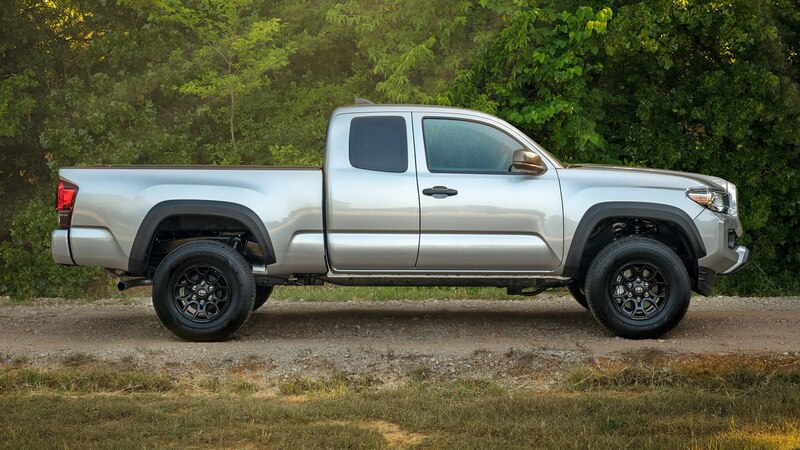 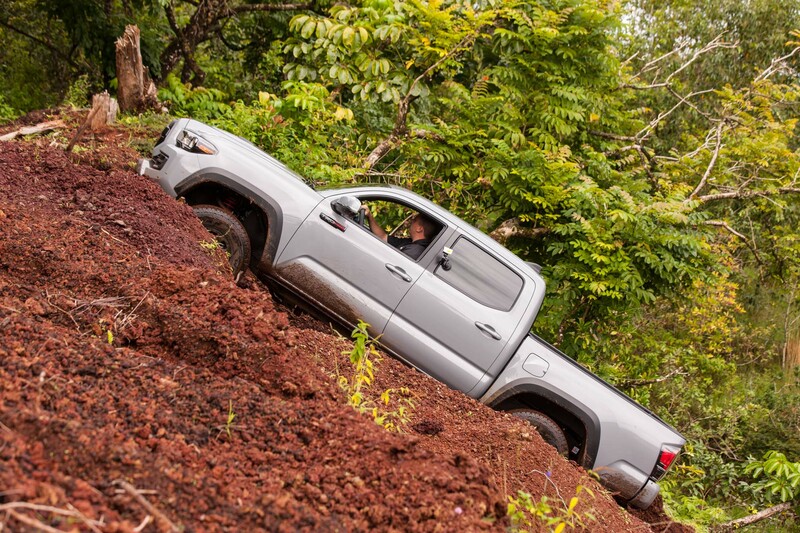 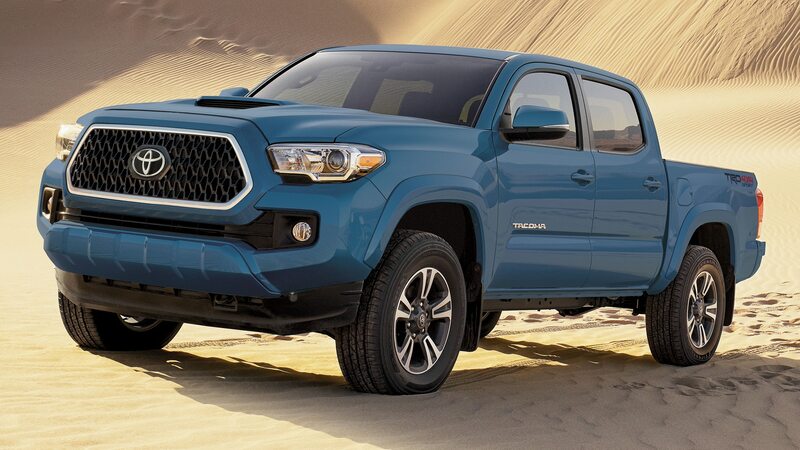 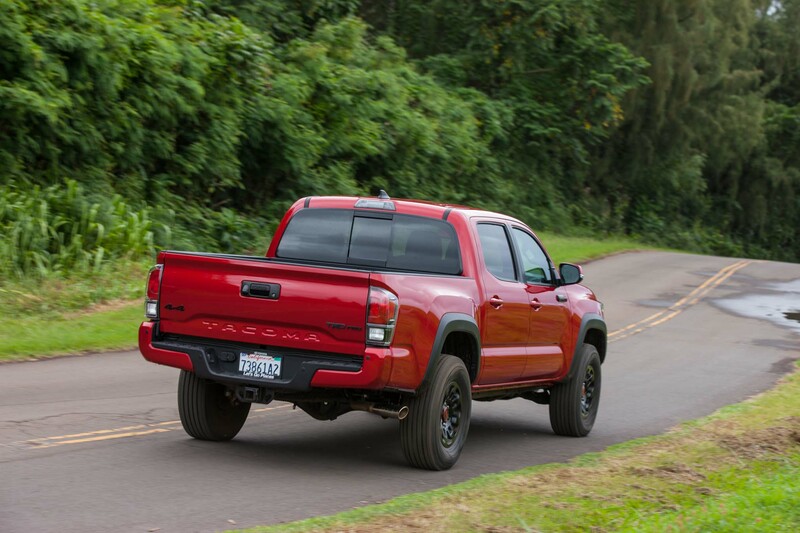 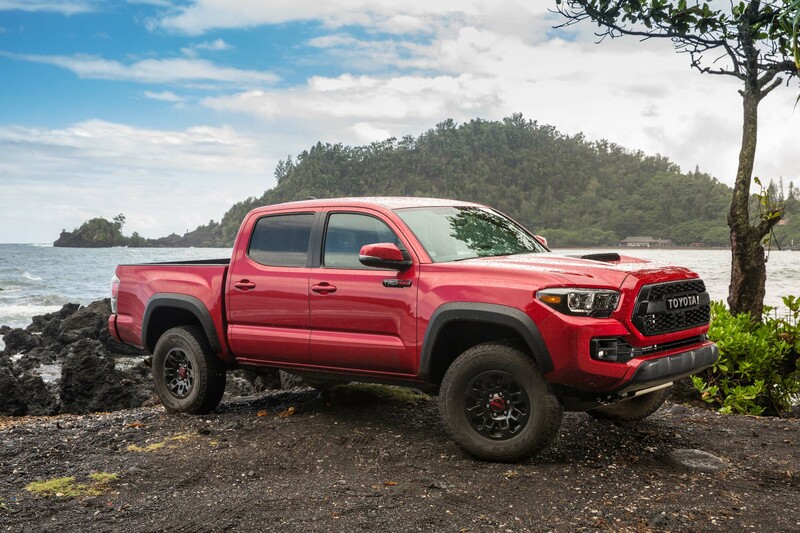 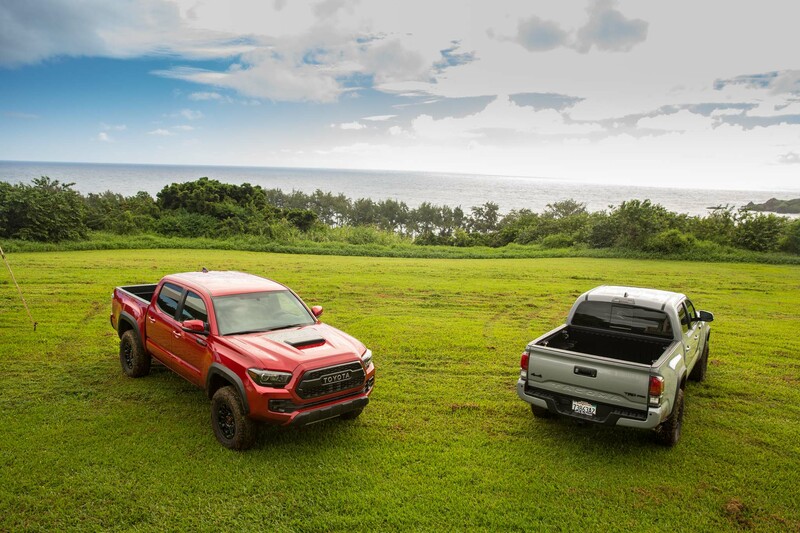 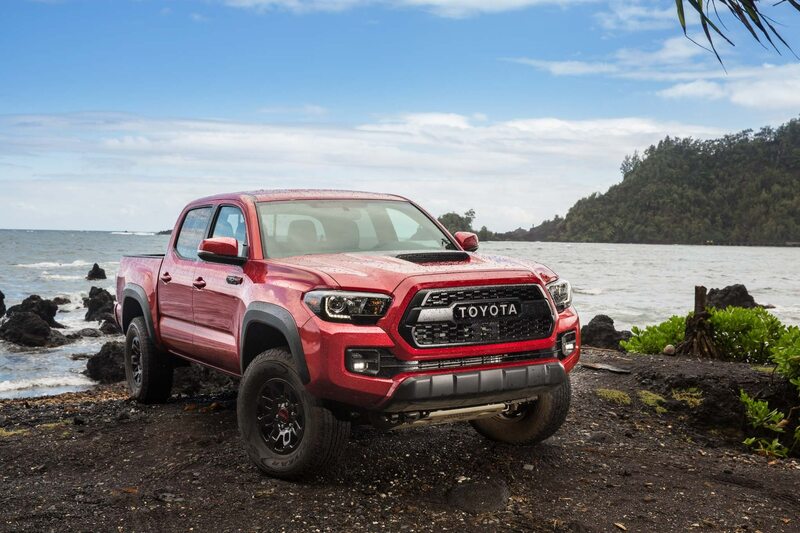 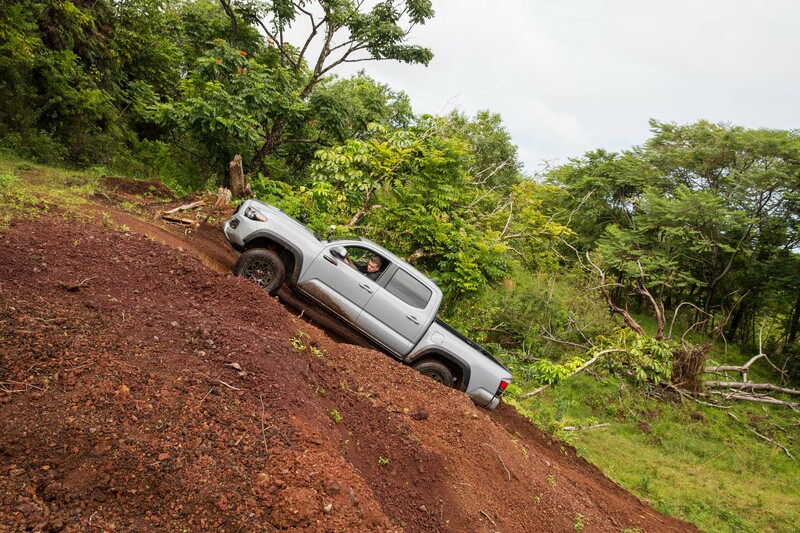 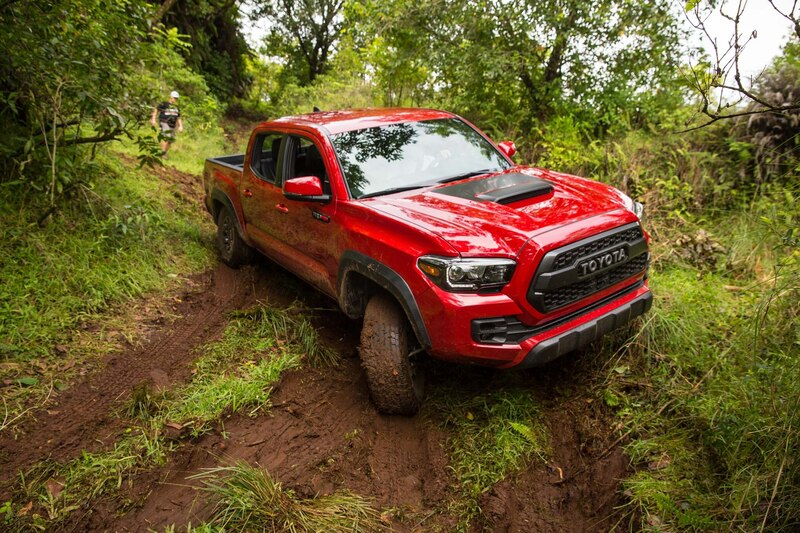 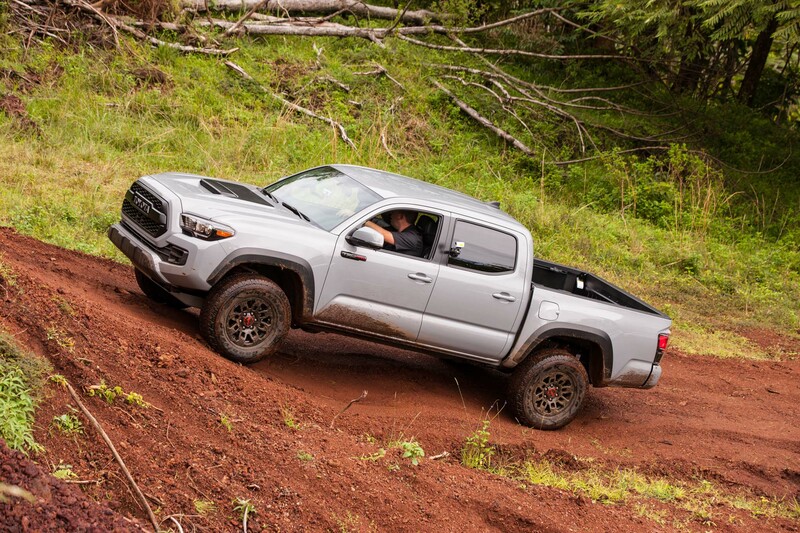 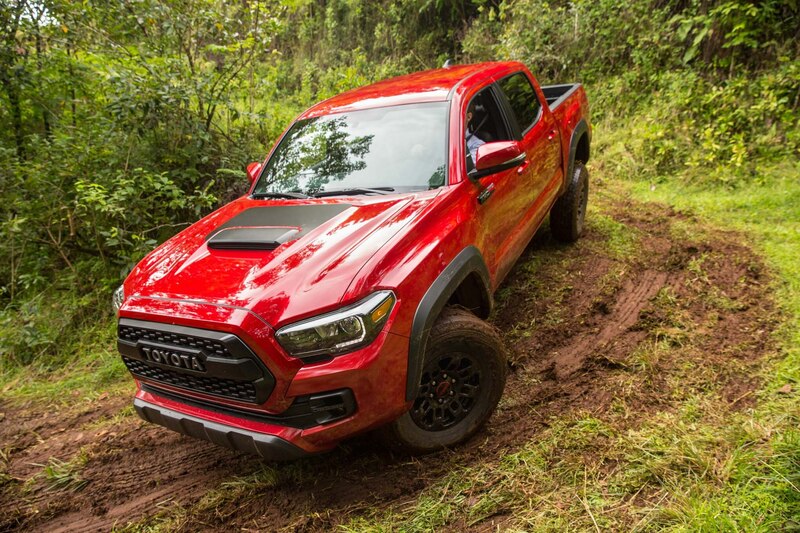 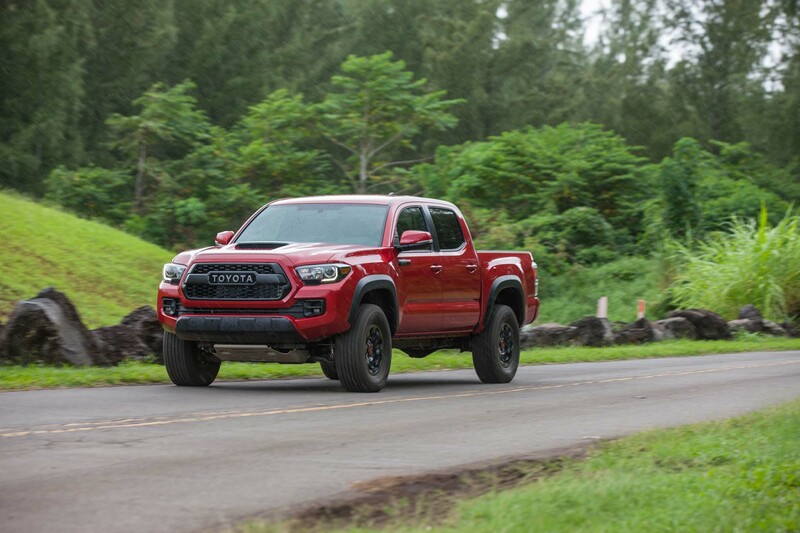 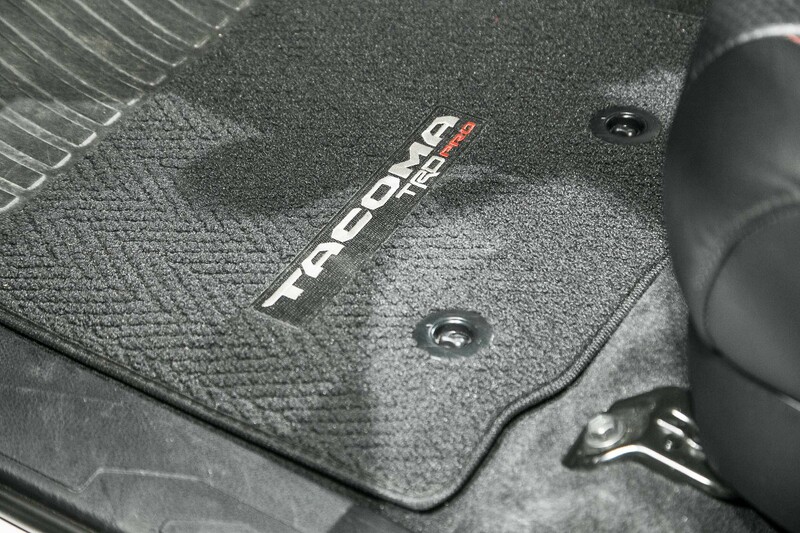 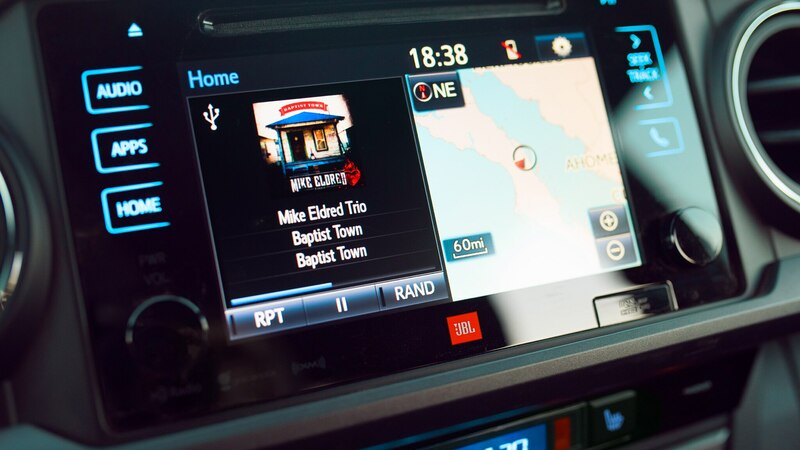 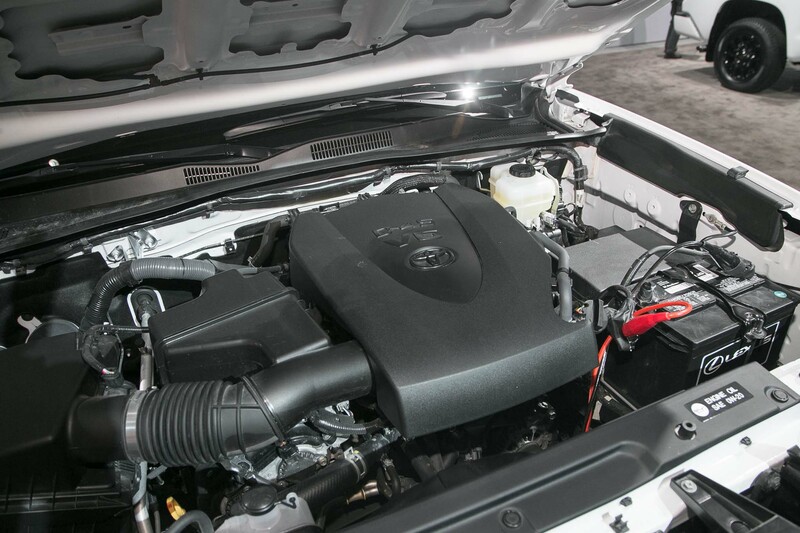 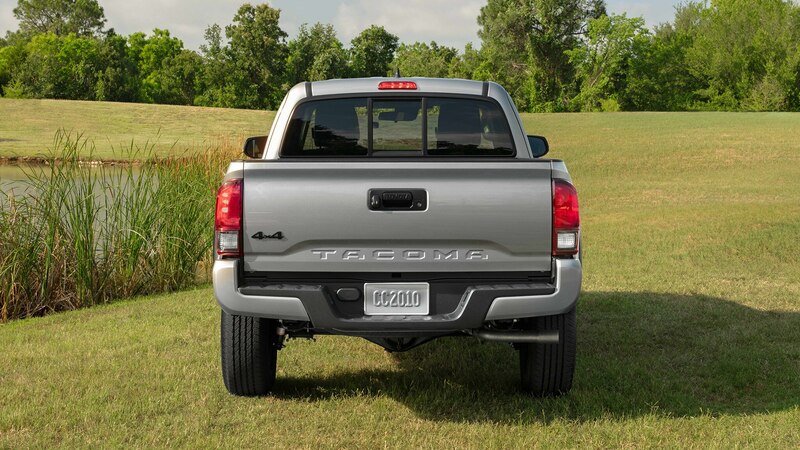 Additionally, the current Tacoma TRD Pro receives a TRD cat-back exhaust, TRD front skid plate with oil sump access panel, and a unique exterior and interior treatment. 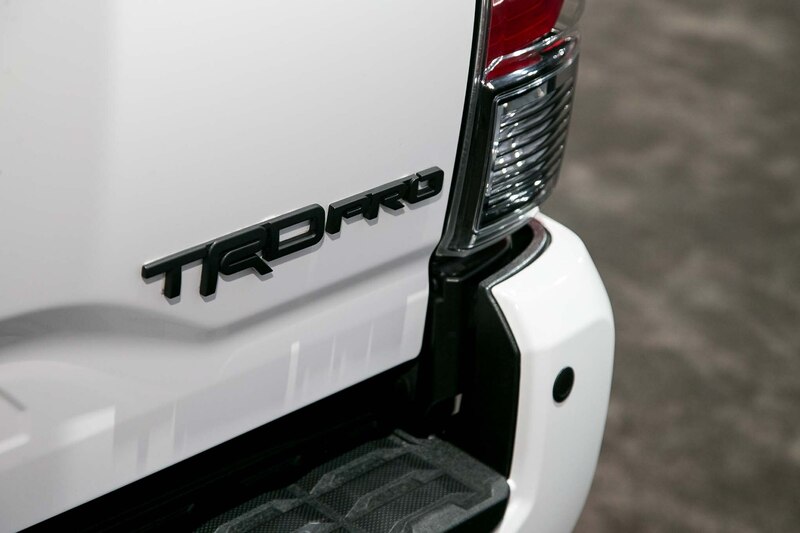 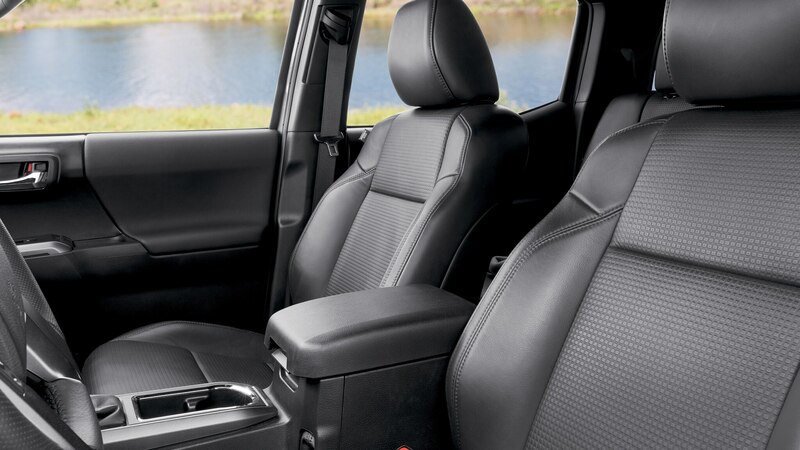 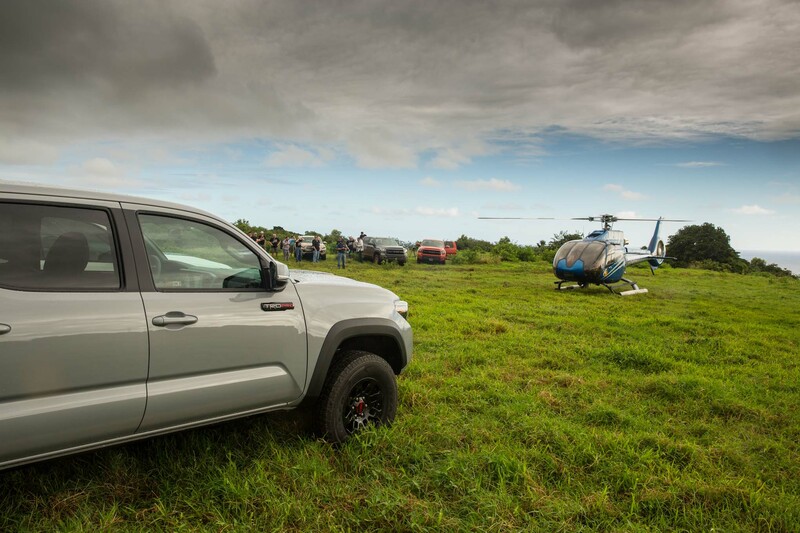 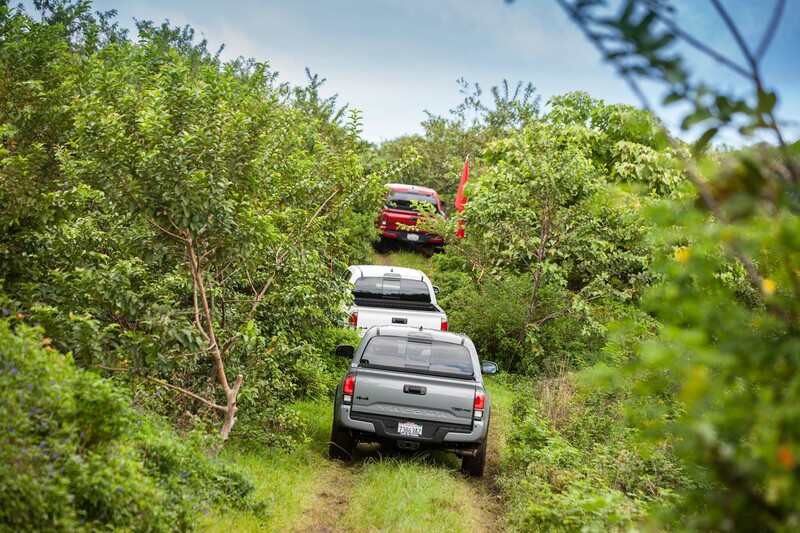 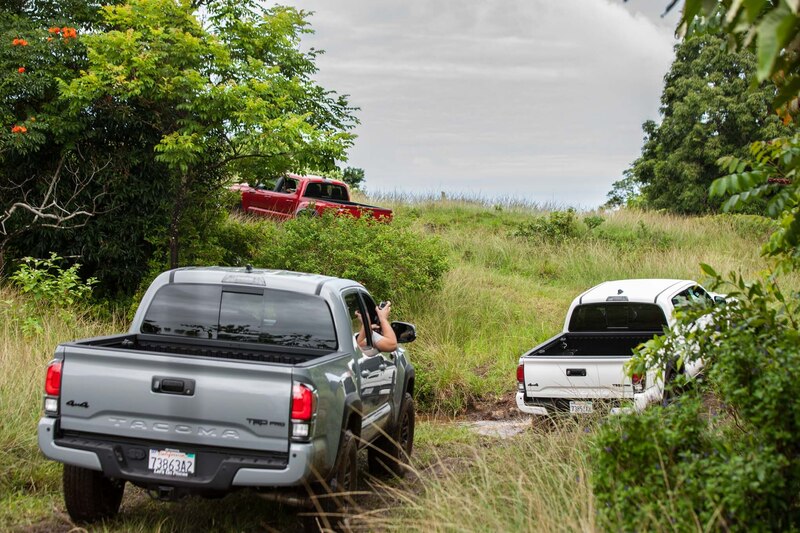 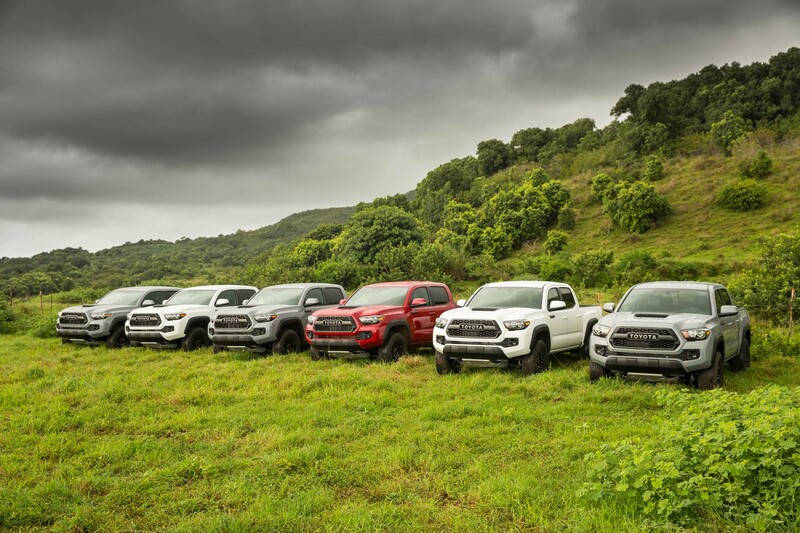 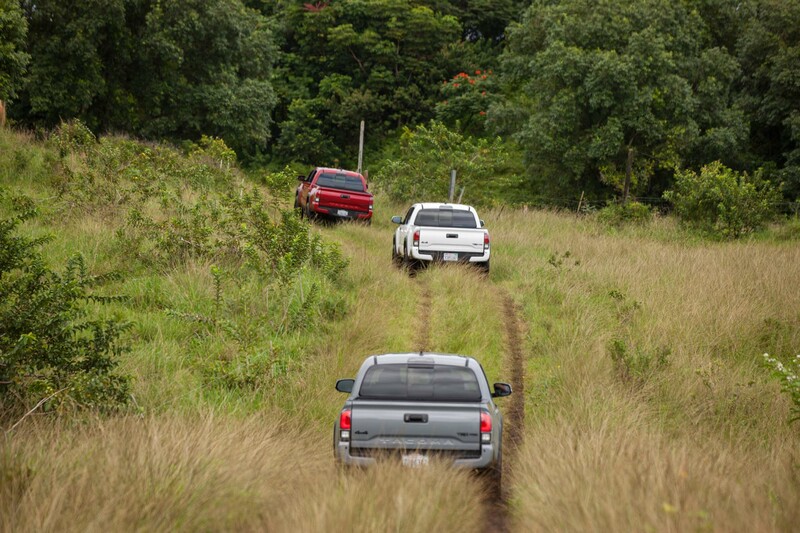 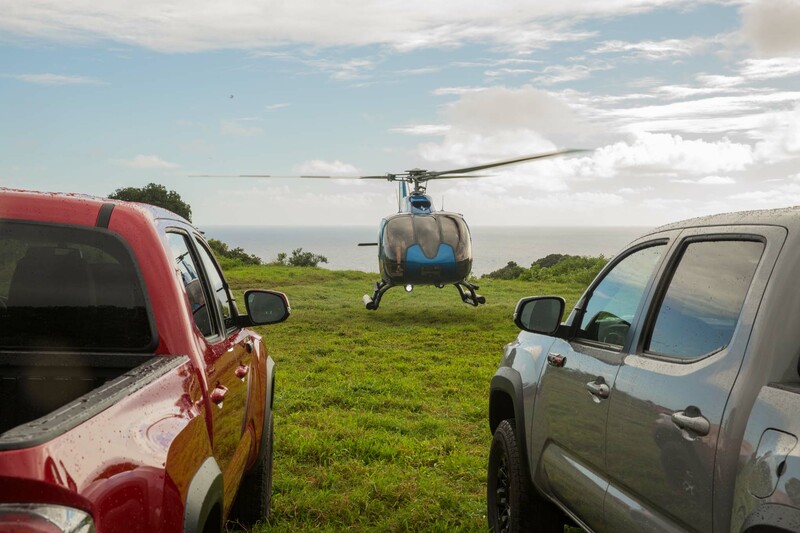 The Tundra and 4Runner TRD Pro models come similarly outfitted. 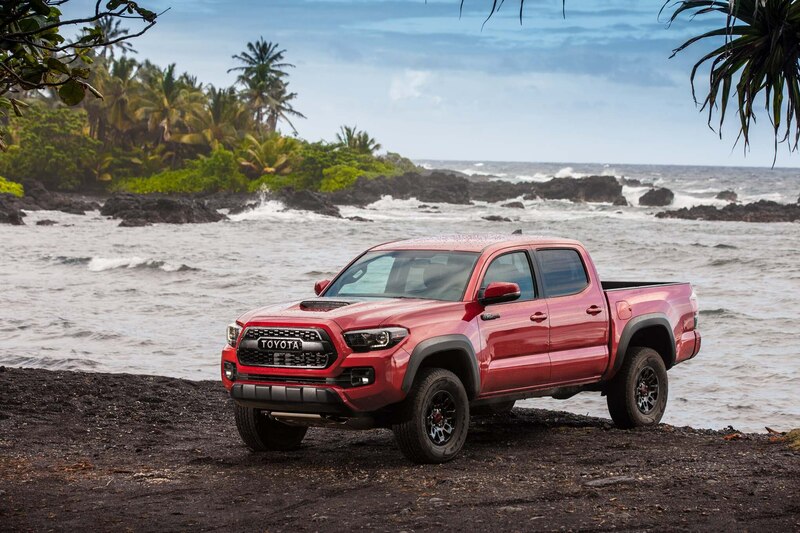 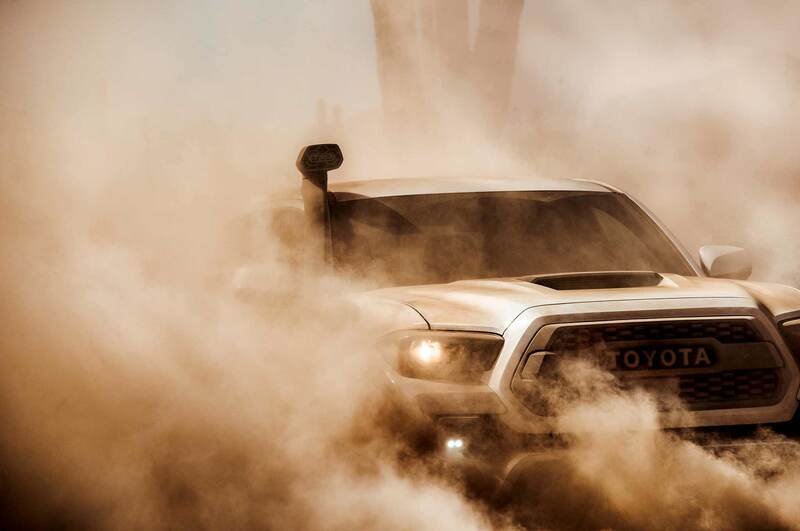 We’ll see all three 2019 TRD Pro models on February 8 at 9 am CST in Chicago. 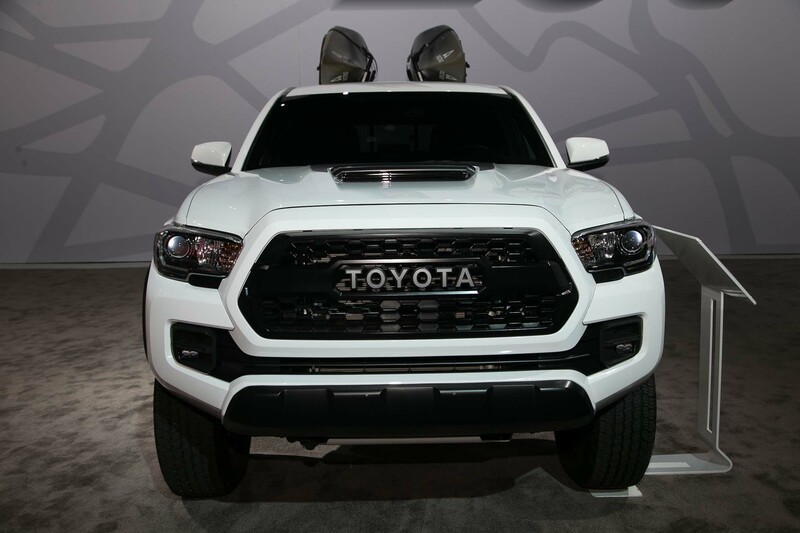 You can watch the reveal live from the show here. 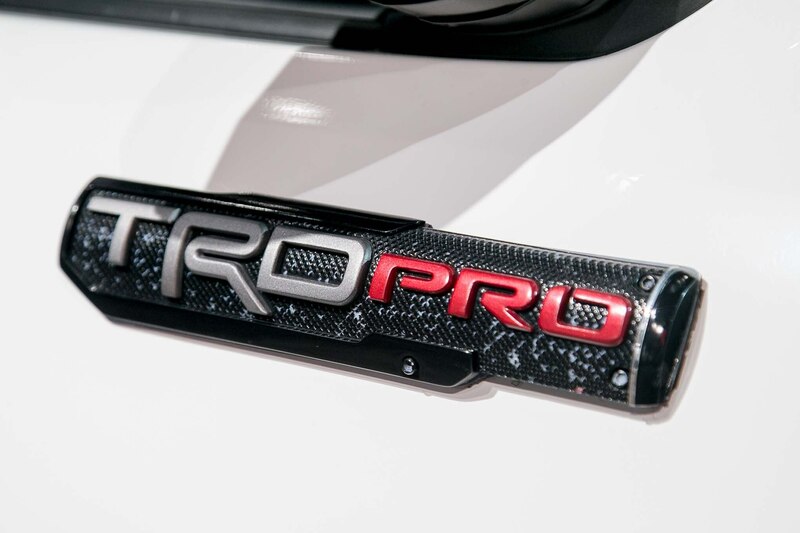 Find it at Barrett-Jackson’s 2019 Palm Beach auction next week.